Looking for a Used Sportage in your area? CarGurus has 20,920 nationwide Sportage listings starting at $1,795. The 2016 U.S.-market Kia Sportage compact crossover receives only minor upgrades and changes for the new model year, significant because the 2016 Sportage is changing substantially for markets overseas. Here in the U.S., we move ahead with the same design until further notice, which could very well come mid-year. So, for now, the 2016 Kia Sportage will retain its three trim levels and two engine choices. The base trim is the two-wheel-drive LX, which Kia says will start at $23,000. With a list of standard equipment that includes privacy glass, a heated rear window with washer/wiper, alloy wheels, and Bluetooth connectivity, the LX is similar to the step-up level in many brands’ trim lineup. It comes with a 2.0-liter, four-cylinder engine and six-speed automatic transmission that produce 183 hp, comparing well to the RAV4, base Subaru Forester, and Mazda CX-5. But the AWD Sportage’s fuel economy numbers of 19 MPG city/26 highway/22 combined fall well short of the segment’s leaders. The mid-level EV receives an undated list of standard equipment for 2016, including leather trim, keyless entry and push-button start, larger 18-inch alloy wheels, a rear spoiler, roof rails, and automatic lighting. The EX uses the same drivetrain as the LX and has the same mileage ratings; it starts at $27,500. For an additional $3,600, the popular Premium Package adds a panoramic sunroof, navigation, ventilated front seats, Infinity Premium Audio, a cooled glove box, integrated turn signals in the heated side mirrors, and front fog lights. Kia’s 2016 Sportage SX carries its own 2.0-liter turbocharged four-cylinder engine, producing 260 hp and coupled to a six-speed automatic transmission. The engine also produces 269 lb-ft of torque at just 1,850 RPM, which feels very powerful when driving around town. The SX comes with everything featured on the EX Premium, plus dual exhaust pipes, LED daytime running lights and tail lights, aluminum door sill plates, and its own alloy wheel and grill design. 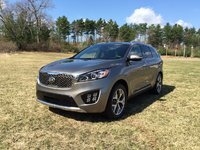 At about $33,000, the AWD 2016 Kia Sportage SX is only about $1,800 more than the EX Premium, and its price point matches up well with the 2016 Subaru Forester 2.0XT, which has a very similar specification sheet but sells for about $1,500 more when comparably equipped. Safety is one area the in which Kia Sportage does not measure up to its top competitors, such as the Mazda CX-5, Toyota RAV4, Subaru Forester, and Honda CR-V. All four of those popular compact crossovers have earned top crash ratings, and their optional forward collision prevention systems make them Insurance Institute for Highway Safety (IIHS) Top Safety Pick Plus-rated vehicles (TSP+). Because the Sportage earned a score of Poor on an important IIHS crash test in 2015, and because it does not offer the required FCP, the 2016 model is not eligible for top safety ratings. 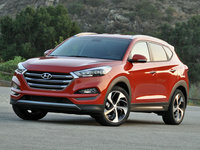 Fans of Kia know that the company is part of Hyundai and that the two companies have mirror-image vehicle lineups, so we would be remiss if we did not report that the Hyundai Tucson, previously a close sibling to the Sportage, is changing for 2016. It is becoming larger, safer, and its new engines and transmissions offer better fuel economy and more power. The Sportage could also change mid-year here in the U.S., as Kia/Hyundai has never been shy about making big changes halfway through a model year. If the company does decide to introduce its new Sportage here mid-year, the vehicle will be very different. It will grow in length and wheelbase, adding passenger and cargo room, and it will look more modern overall. Most importantly, the trim levels will change and a new drivetrain will be introduced, the 1.6-liter gasoline direct injected and turbocharged four-cylinder engine (with about 175 hp) now found in the Hyundai Sonata Eco. The new engine will be mated with a modern, dual-clutch transmission (DCT), which offers sporty shifting and improved fuel economy. The newer Sportage will also have advanced safety features not currently available on the 2016 model, such as forward collision mitigation with auto-braking. 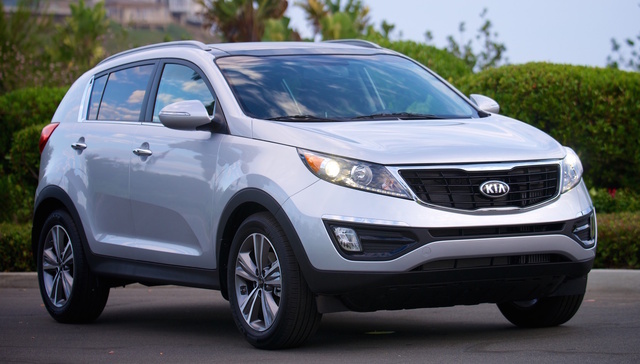 Shoppers who consider the 2016 Kia Sportage should keep the vehicle's pending changes in mind. One would assume this outgoing model would be offered at a considerable discount from MSRP, given that its new design is already revealed and available across the street at Hyundai. What's your take on the 2016 Kia Sportage? Users ranked 2016 Kia Sportage against other cars which they drove/owned. Each ranking was based on 9 categories. Here is the summary of top rankings. Have you driven a 2016 Kia Sportage? I Need Some Answers. Would A CarGuru Rep Please Call Me? I'm dealing with a prospective buyer and I don't know how to advise them on their next steps in the buying process.